news Hoping to make it easier for shoppers to spend, spend, spend, Android Pay has now gone live in Australia, allowing smartphone users to pay for items anywhere contactless payments are accepted. 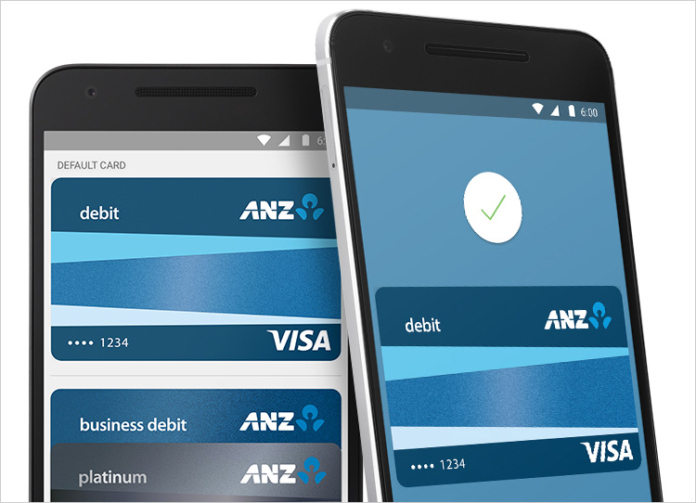 To use the service, users will need to download the Android Pay app from Google Play onto an NFC-enabled phone, and must own an eligible American Express or Visa credit or debit card from one of over 25 supported banks and credit unions, including ANZ, American Express, Macquarie, MyState Bank and Teachers Mutual Bank. Once set up, buying something is a matter of simply ‘waking’ the phone and tapping the payment terminal with the phone as they would with a contactless debit or credit card. In an announcement on its blog, Google said that MasterCard will be added to the service in “a few days” and that other banks and cards are also being added in future, with Bendigo Bank and ING Direct to be supported “soon”. Businesses with contactless terminals will automatically be able to accept Android Pay in store. Also to be live “in a few days time”, said Google, will be the ability to checkout using Android Pay in apps, including Catch of the Day, Deliveroo, Domino’s, EatNow, Hotel Tonight, Kogan.com and more. The feature will remove the need to enter payment or address details into an app every time a purchase is made. Like Apple Pay – which went live in Australia in November 2015 – Android Pay keeps users’ card information secure with industry standard tokenisation, which means credit or debit card numbers aren’t shared with the merchant. When a purchase is made, a payment confirmation indicates when and where the transaction happened, making suspicious activity simple to identify. And should a phone be lost or stolen, Google’s Android Device Manager can be used to lock the device from anywhere, enter a new password or wipe it clean of personal information. Notably, Android Pay is launching with significantly more card and banking partners than Apple Pay did last year, and some criticism was levelled at the tech giant’s for launching with a single card partner, AmEx. Additionally, Ed Husic MP said on 3 December that Australian consumers are being denied payment choices over the banks’ apparent “boycott” of Apple Pay and he called for regulation to stop consumers suffering from the possibly anti-competitive actions of some financial institutions. Later, however, Reserve Bank of Australia Governor Glenn Stevens said he had not seen any evidence that Australia’s major banks were actively boycotting the Apple Pay mobile payments service. Bummer.. was looking forward to using this but Anz don’t include MasterCards.. which ironically have paywave capability. Among the cards authorised, have fees and conditions not suitable for alternative to MasterCard. And I definitely dont need another card in my collection. Yes, OK thanks. I didn’t read the blog. HACKED. No financial transactions on a phone whatsoever. especially if it needs mobile data which is a limited resource because its a scam. I’m using it now. I find it kind of stupid that the messages of confirmation about uses of android pay are sent to the phone that made the purchase. If the phone is somehow compromised, the user won’t know anyway, so what’s the point? I agree that it’s kind of stupid, but I can’t think of a better solution (and neither can anyone else, apparently). But what I can say is that you can use a service like Pushbullet to forward the SMS to all other devices you want. At the end of the day, it may be safer than the signature process for authorising a credit card payment, but a password protected phone can still be compromised, I suppose. Choose better passwords?